So you want to build a website for your company or business, or maybe for your personal career promotion. You want to start a blog and share content that you're passionate and knowledgeable about. Or maybe you already have one of these, but you want to revamp it and make it better. The answer? Stock photos! But where to buy images for websites? Where to buy images for commercial use? Are all suppliers the same? Are all photos legal to use on a site? We have all the answers! Dive in to know what is the best source for photos to use in your sites without breaking them bank. Online! Where else? Stock photo agencies and stock photo services online are one of the best resources to buy images to use in your own sites. It's simple, quick, and in the best suppliers, also very cheap. Here are the best places to buy images online! PixelRockstar is a stock photo service for WordPress, one of the most popular website and blog creation tools in the web, with over 76.5 million blogs and around 15 million websites built on this platform to date. How to stand out in this mobbed space? Well, with great content of course, but also with superb images that make your blog or site look beautiful, modern and catch the attention of users. If you are a publisher using WordPress, I don't have to tell you about the hassle it can be to add photos to your articles and pages. Let alone finding cool imagery that is cheap, legal to use and high quality altogether. PixelRockstar is a stock photo service that solves all of those issues in one simple, elegant and convenient product. This is a WordPress plugin that integrates a library of over 4 million high quality blog images, covering the most current and varied themes and styles, that you can easily search, download and add to your articles with a few simple clicks of your mouse. Working on an anual pack system that ranges from 10 to 350 downloads, you pay for the amount of photos you want, and use them whenever you want within one year. Prices are very reasonable specially considering the slick functionality, falling between $9 and $200 per year. And the best is that all images are legally verified, and they come with a custom Digital License that covers usage in websites, publishing and digital supporting material such as social media entries. If you work with WordPress, PixelRockstar is certainly the best place to buy images! Check out our detailed PixelRockstar review here! If you have Wix as your CMS then Bigstock is great and if you know how to upload images in your CMS you can use all the following stock agencies. 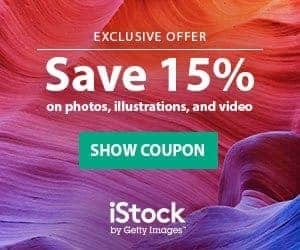 Bigstock is a reputable stock photo agency with years in the market, and is owned by Shutterstock, one of the giants of stock photo industry. With a collection of over 55 million royalty free stock images, they are a good option to buy images for websites if you use Wix as your CMS: Bigstock and Wix have a partnership going on since a couple years, that makes it much easier to add images from Bigstock into your Wix based sites. This agency has high quality images in various resolutions, and offers them on demand with credit packs and also under subscriptions. Their prices are very affordable, with no image costing more than $15 and as cheap as under $0.50 per download in the best deal. If you are running a website in Wix and you want photos to use in it, Bigstock is worth giving a try. Their low prices added to being integrated in the website builder platform make it cheap and easy to get cool images in less time. Sign up for Bigstock here! And save more in your photos with our great Bigstock Coupon! Our StockPhotoSecrets Shop is a great place to get images for websites, specially if you're working on a limited budget, since that is our specialty. We have a catalog with over 4 million high quality images that not only cover popular themes and styles but also meet web usage standards. And with our Royalty Free license you are allowed to use any photo from our library in websites including those with a commercial purpose. A great alternative if you want to buy images cheap! All of our download plans are tailored for small to medium businesses, and we have convenient on demand image packs, as well as great deals with monthly subscriptions. Moreover, we have a star annual pack that gives you images at super low prices. Ranging from $7.80 and down to $0.16 per download depending on the purchasing model you choose, our images are very affordable! Visit StockPhotoSecrets Shop today and start downloading cool imagery for your websites! One of the pioneer stock photo agencies and of the best stock photo sites, Shutterstock is also a great source for images for websites. While not specialised in this usage, their Royalty Free images are legally suitable for use in web, for most kinds of commercial purposes. While not directly integrated into any CMS, Shutterstock hosts a library of over 100 million images on their site, with an advanced and simple to use search tool, and all their photos are easily downloaded into your local storage from where you can import them to your website builder of choice. Shutterstock images are high quality, and they are very cheap. You can buy them in image packs or via subscriptions, and they range between $14,50 and $0.26 per download depending on which system you use to buy. With their impeccable reputation and powerful offer, Shutterstock is for sure a great source for images for websites. Sign up for free at Shutterstock now! And don't you forget to grab our special Shutterstock Coupon Code to save in your purchase! Getty Images is one of the most renowned stock photography agencies in the world, with decades in business since the early days of traditional, printed stock photo catalogs and all the way to their current online platform with millions of images available for licensing. They work with both Rights Managed and Royalty Free licenses, and they have a whole section of Editorial only content for publishing purposes. Their prices are higher than at other outlets, but it's reasonable given their premium imagery and service. If you're a WordPress user, you will like to learn that this agency has a WordPress plugin with very cool benefits. For one, it lets you explore Getty Images content without leaving your WP layout. But here's what's interesting: you can use images from a selection of 66 million editorial only content, for free! As long as you use them in your publication for non-commercial purposes, you can use any of those photos via the embedding function, free of charge. If you are a paid customer to Getty Images you will also access to the libraries covered by your account, and you'll be allowed to license, download and apply photos from the collections into your website with a few simple clicks. If you like premium imagery or you need a lot of editorial photos for your blog, Getty Images is a good alternative. And if you want to get your images cheaper, grab our special Getty Images Discount with Ultrapacks! Adobe Stock is a stock photo service offered by Adobe, that is deeply integrated with their Creative Cloud platform. They have a collection with well over 60 million images under Royalty Free license, suitable for web usage. The strong point in this service is the integration with Creative Cloud applications, that lets you complete your design process in less time and in a simple, seamless way. Their library is varied and they have all high-quality photos and illustrations that meet standards for using in websites. Prices are also very affordable, starting at $9.99 and as low as $0.26 per download depending on the subscription package you get. 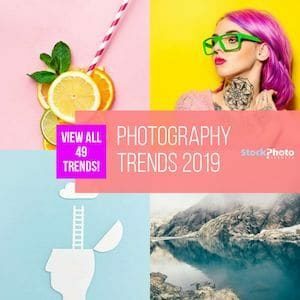 If you want to use any of Creative Cloud's image editing tools to work on your website's images, then Adobe Stock is certainly a photo supplier worth considering. Get your Adobe Stock plan right here, and if you want, you can test the service for free with our Adobe Stock Free Trial! Using any of the above services you are sure to get the high quality, beautiful imagery that will make your website look professional and attractive to your potential customers, at the best possible prices and with the best functionality. No matter what CMS you work with, there are stock photo options for every one of them!